I have always used to auto focus by pressing the shutter release half way down. Focus, re-compose and shoot. But six months ago I tried changing to back button focusing, after watching the video above. I haven’t gone back. The video explains the concept very good. But in short, by assigning auto focus to another button than the shutter release you gain much more control over the focusing. When set up right you can switch between all focus modes instantly without changing any camera settings. You set up the camera so the auto focus is triggered by a button on the back of the camera. 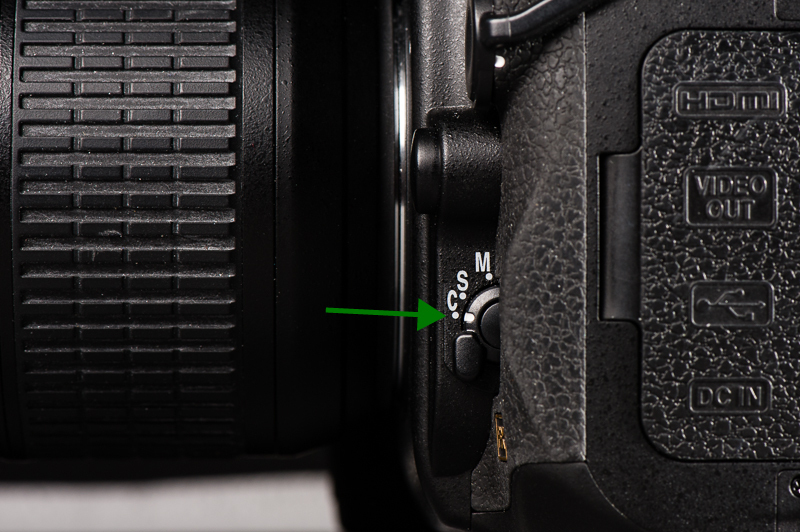 On Nikon cameras (which I use), this button is called “AF-ON”. When shooting, you operate it with your thumb. 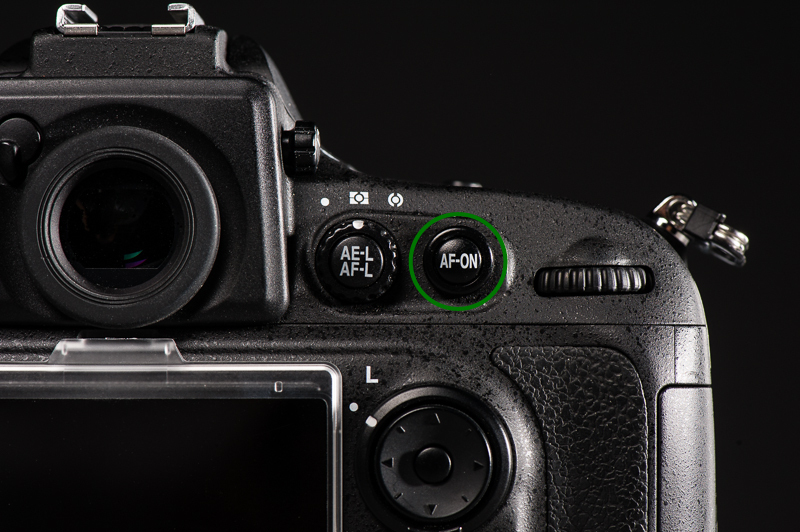 The AF-ON button ( Nikon D800). Photo: Øystein H. Horgmo © All rights reserved. Single auto focus (AF-S): Press and hold the AF-ON button until you have the desired focus. Release the AF-ON button and the focus is locked. It stays locked until you press the AF-ON button again. Continuous auto focus (AF-C): Press and hold the AF-ON button. Manual Focus: With the lens focus switch set to M/A, you can manually focus the lens when you don’t press the AF-ON button. It takes a while to get used to focusing like this, and I guess it’s not for everyone. But I find it ever more useful. For example, when photographing small children in the studio, it is very useful to be able to switch between single and continuous auto focus swiftly. On professional models this is done with a switch on the side of the lens. On smaller models this is done in the i-menu. Set the camera to AF-C (D700 shown) Photo: Øystein H. Horgmo © All rights reserved. 2. Change the auto focus activation to AF-ON only. This is done in the menu. Go to Custom Setting -> Autofocus -> AF activation -> AF-ON only. Thanks to Petapixel for pointing me to the video six months ago. You are currently reading Another way to focus at The Sterile Eye.